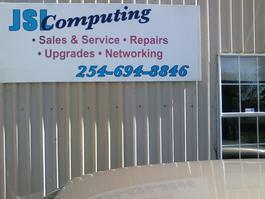 JSL Computing recommends Microsoft Windows XP Home and Professional. JSL Computing recommends Acer, Custom, Dell, and Toshiba Computers and Laptops. Acer Aspir 1525 with a Intel Pentium Dual Core Processor, 2 GB RAM, 160GB HDD, a 15.6" Glossy High Definition Liquid Crystal Display, a Memory Card Reader, and more! April Spring Special just $525.00 with warranty.